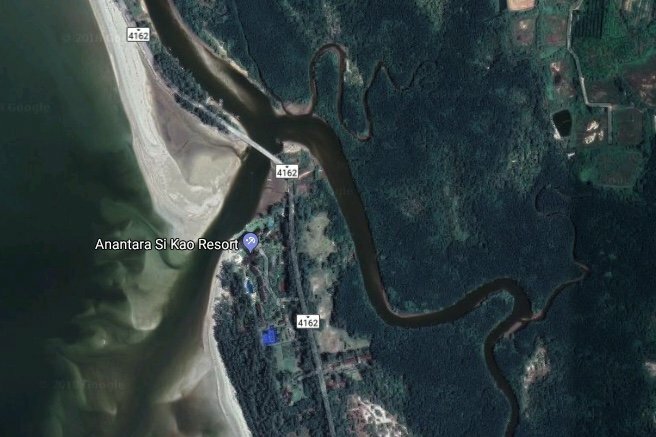 The well-known Anantara Si Kao Resort hotel in Trang province has shut down following a court ruling that it had encroached on a national forest and a national park in Trang's Si Kao district. The hotel halted its operations and used wooden boards to shut its entrance on Saturday. The Supreme Court ruled to revoke the hotel’s land documents covering 37 rai of land on ground that the five-star hotel was built on national forest and Haad Chao Mai National Park land. Most of the workers have been relocated to other branches. The hotel has yet to demolish its buildings and relocate its assets. Stayed their once. Highly overrated. Let's see if it actually get demolished, or whether closed room negotiations allow it to reopen again. Might be a nice place for the judiciary to relax. that separates a Hotel, from a Resort! How is possible? Can those peoples do whatever they like? The further one gets from Bangkok, the more key agencies are influenced by powerful local political players and the law can be undermined. The Land Registry, the head of the National Park, the Police are examples of such agencies that would have come into play in this case. Local power players will try to get their people in key positions or spend years cultivating mutually beneficial arrangements with the important people in these offices. Failing that, they can always be shifted out through pressure applied through the patronage networks or, in the end, shot. You kidding, corruption is not anymore a theme in Thailand, the junta taking very good care of. I don't understand what you mean with "& voila!". Could you elaborate on this, please?